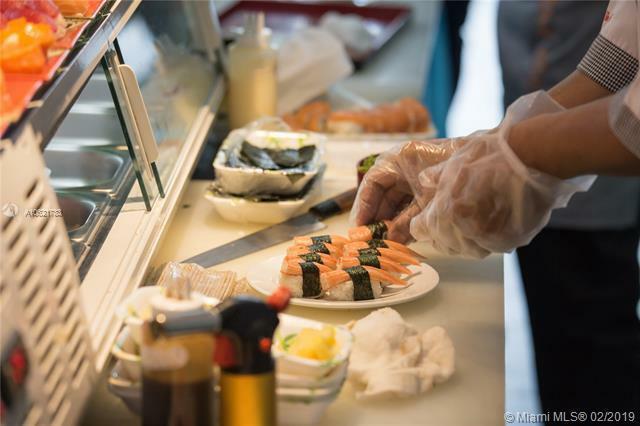 Sushi Restaurant for Sale in Doral. Great location in busy plaza close to hotels, residential neighborhoods, office buildings etc. This Sushi Japanese Sushi restaurant is well-known for top quality fresh Sushi. A favorite among the locals. In its current location for more than 13 years same owners. Reason for sale: time to retire. Lunch always busy. Conveniently located this restaurant is easily and quickly accessible. Good parking. Excellent online reviews. Beer and Wine license in place.